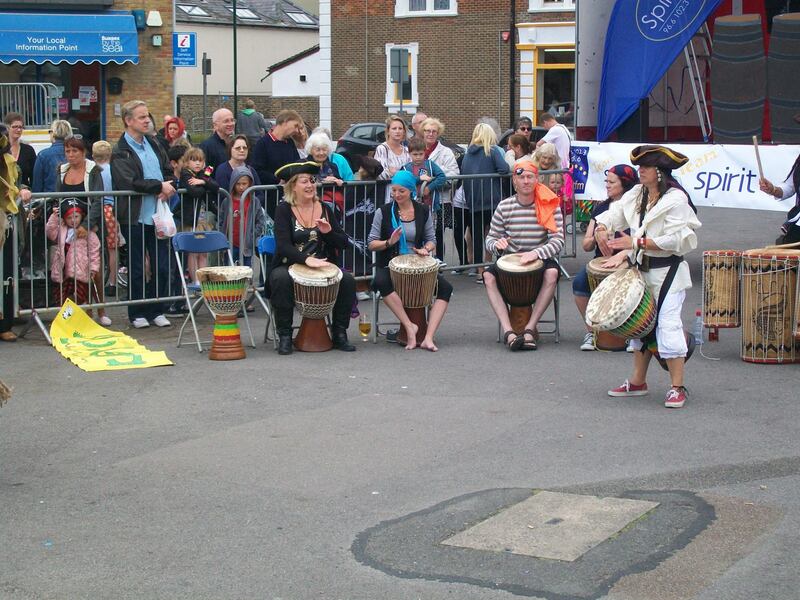 The Nyodema Drummers summer performance season gained an extra delight on sunday 15th June when we won a prize at the Bognor Carnival. The group took the pirate theme to heart and looked fantastic as well as delivering a cracking performance. Well done all. anyone wanting to join us – for fun, for a couple of sessions or long-term is welcome. We meet at the aldwick Church on Gossamer Lane, bognor, at 7.30 every tuesdat evening. contact Chris Sylla on 07837779284 or jelimuso1@gmail.com for more details. This entry was posted in Uncategorized on June 16, 2014 by nyodema.